Our Kentucky genealogists are available to research on location. They will find and analyze the best records available to further your family history research. They can search the archives and libraries in Kentucky, as well as help you with other special requests. What genealogy resources are available for Kentucky research? Kentucky genealogy resources include birth, marriage and death records. Some towns kept birth and death records as early as 1852, while marriage records were kept as early as 1785. Federal census records were recorded every 10 years in Kentucky, beginning in 1810. State, territorial and colonial censuses were recorded every 10 years from 1840 to 1890. Land, probate and church records are also available. Newspapers, military records, local histories, tax lists and ship passenger lists were created in many areas and time periods as well. The Lexington Public Library contains sources on state and local history and genealogy. These sources include family histories and census records. It also holds a collection of Lexington newspapers and an extensive newspaper index. The Kentucky Room at the Central Library contains records of Kentucky and Fayette County. Central Kentucky cemetery maps and a collection of funeral notices are also held at the library. The Kenton County Public Library is home to extensive statewide and local family history materials. The library contains in-depth collections for northern Kentucky. The local newspaper index comprises titles from 1835 to 1931, and 1984 to the present. This newspaper index includes an obituary index. The library also holds nearly 30 volumes of records of the Covington Protestant Children’s Home (now the Children’s Home of Northern Kentucky). Collections of photographs, oral histories and maps are held at the library as well. The Kentucky Department for Libraries and Archives (KDLA) is a repository for Kentucky city, county and state records. Their collection of birth and death records comprise the years 1852-1862, 1874-1879, and 1891-1910. Our Kentucky Genealogists can access birth and death city registers for Covington, Lexington, Louisville and Newport. Census, military and judicial records are held in the archives as well. The Margaret I. King Library is located at the University of Kentucky in Lexington. The collections at the library include church records, government records and biographies. The library also contains Appalachian collections and historical manuscript collections. The Western Kentucky University Library contains local church histories and biographical files of south-central Kentucky. The Kentucky Library Research Collections houses rare books and periodicals, photographs and sheet music. The Martin F. Schmidt Research Library of the Kentucky Historical Society (KHS) contains records of all 120 counties of Kentucky. The library’s collections consist of manuscripts, photographs and oral interviews. The library maintains maps and atlases and holds 150,000 names transcribed by volunteers from gravestones across the state. The Forrest C. Pogue Special Collections Library of Murray State University holds records relating to all regions of Kentucky, with an emphasis on the western region. The university contains the Forrest C. Pogue World War II Collection. This WWII collection consists of over 300 rare photographs of the war. The library also holds records of the American Civil War, oral histories and manuscript materials. 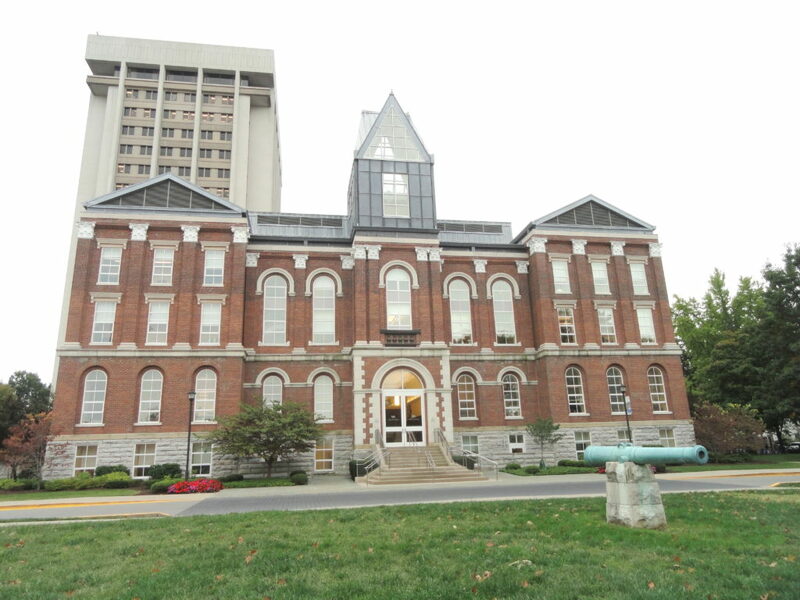 The Crabbe Library at Eastern Kentucky University has genealogical records of Kentucky, Virginia and North Carolina. Our Kentucky genealogists specialize in researching several types of documentation and are not limited to the list above. For more information or specific inquiries about our genealogists, please feel free to contact us.